Ruth will be discussing how concepts and practices of openness have shaped the values, programmes and infrastructures of Furtherfield as an independent community for arts, technology and social change. In Spring 2012 Furtherfield opened a new public gallery and social space in the heart of Finsbury Park in North London. We want to connect the local audience (many of whom are new to art) with the work of a long-standing community of artists, technologists and activists who have a longstanding engagement with a range of open practices. “Such participatory production and “media democratisation” counters elitist propaganda that art is a special activity for special people… and returns the outcomes of inventiveness to the common for mutual enjoyment and open-ended reiteration. (Da Rimini, 2010) I will draw on artworks and curatorial projects from the Furtherfield Programme that are informing our work and some of the strategies that we are developing. Editors note; (13/02/13) you can now listen to this seminar below and via the CU podbean channel. * Special Issue: The disrupted Journal of Media Practice * 6 Conversations around Media Practice – Join in Now! Gary Hall (2016) Pirate Philosophy: For A Digital Posthumanities. MIT Press. In Pirate Philosophy, Gary Hall considers whether the fight against the neoliberal corporatization of higher education in fact requires scholars to transform their own lives and labor. Kamila Kuc and Joanna Zylinska, eds., Photomediations: An Open Reader (Open Humanities Press 2015). Photomediations: A Reader is part of a larger editorial and curatorial project called Photomediations: An Open Book, whose goal is to redesign a coffee-table book as an online experience. Jonathan Shaw, NEWFOTOSCAPES, Library of Birmingham, 2014. NEWFOTOSCAPES seeks to navigate the evolving topography surrounding the image in the 21st century; Shaw advocates a new way of thinking about photographic production & education in a post-digital era. Gary Hall. Invited talk at Forms of Criticism symposium, University of Westminster, June 30, 2016. Gary Hall. Invited talk on the importance of communication, impact and public engagement for academic research, University of Warwick, June 28, 2016. Gary Hall. 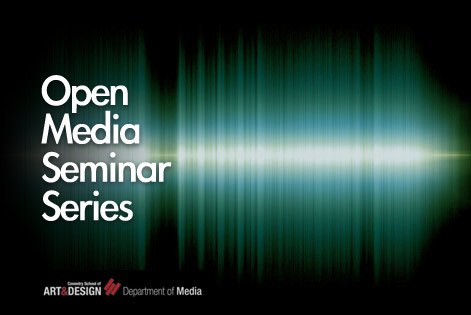 Invited talk, Cybernetic Subjectivities and the Mediation of Trust and Empathy, launch event for the Centre for Entangled Media Research, University of Lincoln, May 24-25, 2016. Gary Hall, Invited talk, University of Birmingham, May 23, 2016. Kamila Kuc, 13 May 2016, 'Show & Tell & Touch: Digital Culture and Education', panel discussant, with Milena Popova (Europeana), Gregory Markus (Netherlands Institute for Sound and Vision), Prodromos Tsiavos (Onassis Cultural Centre) and Alain Thillay (French Ministry of Education), moderated by Caroline Roelants of the Flemish Canon Cultuurcel (Ministry of Education), Brussels, Belgium. Kamila Kuc and Michael Brooke in Conversation, 8 May 2016, 'Humour in Experimental Film', Camden Arts Centre. Coupled with 'Lyrical Flight From Reality: Playfulness and Humour in Experimental Film', curated by Kamila Kuc. Gary Hall (2016) Charisma of the Book: Global Perspectives for the 21st Century, The NYU Abu Dhabi Institute, New York University Abu Dhabi, United Arab Emirates, March 14-16. Copyright © 2019 Centre for Disruptive Media. All Rights Reserved.